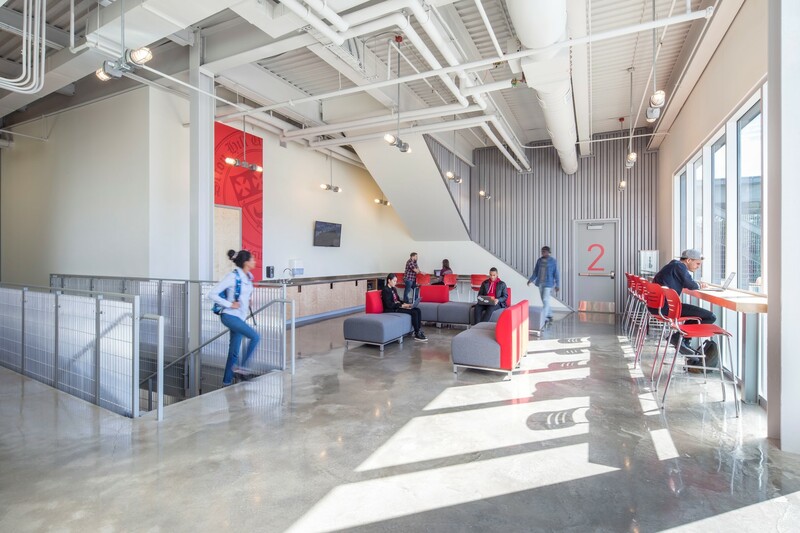 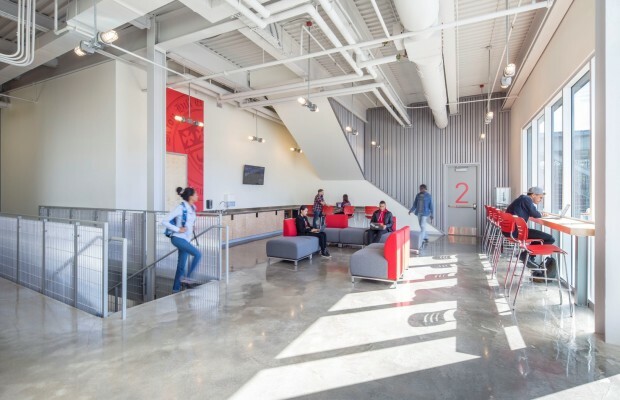 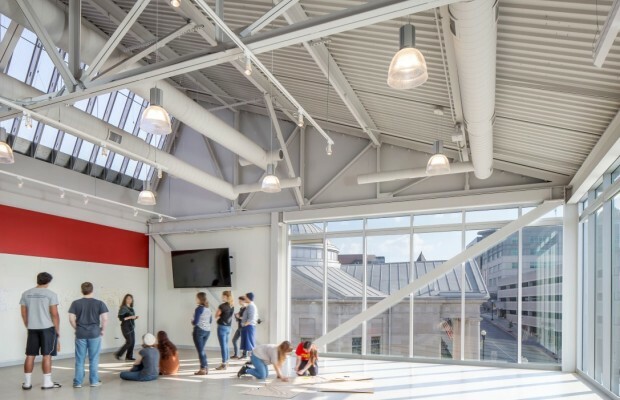 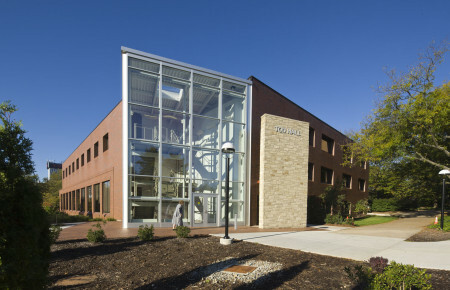 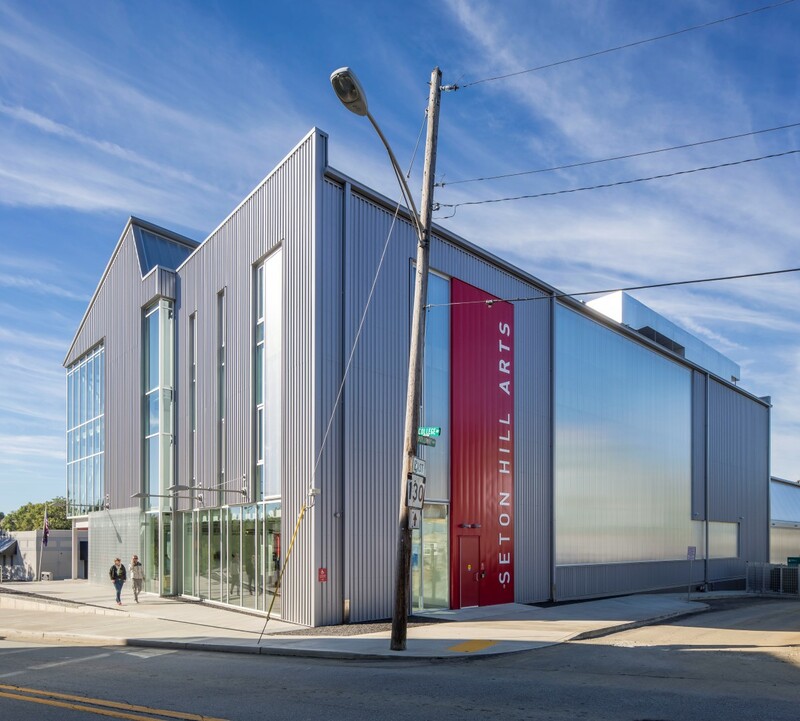 Visual Arts & Dance at Seton Hill University | BSHM Architects, Inc.
For years, the departments of Visual Arts & Dance at Seton Hill University were scattered throughout the multiple buildings on campus. 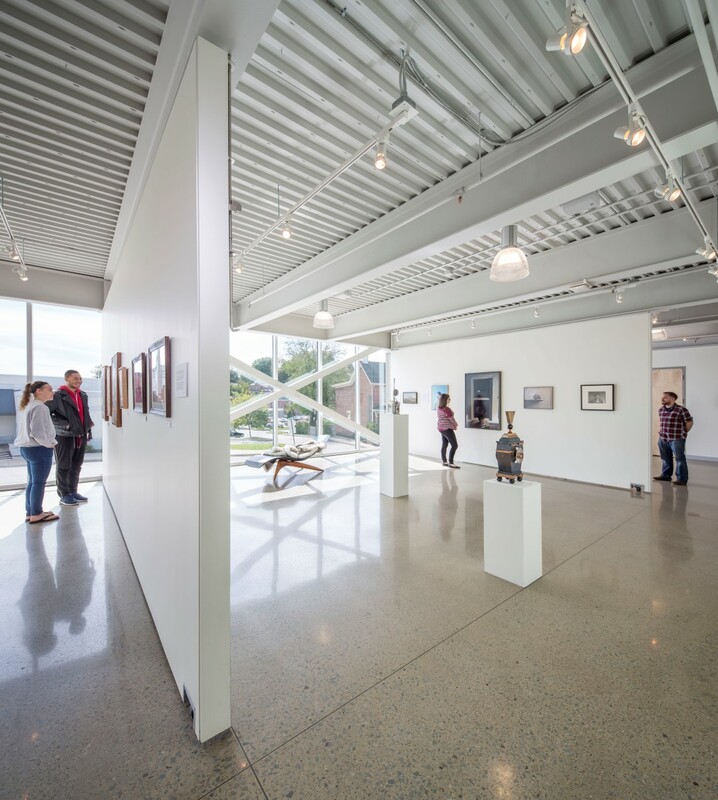 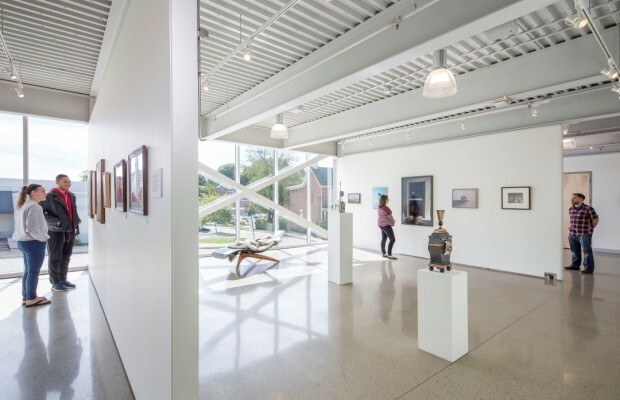 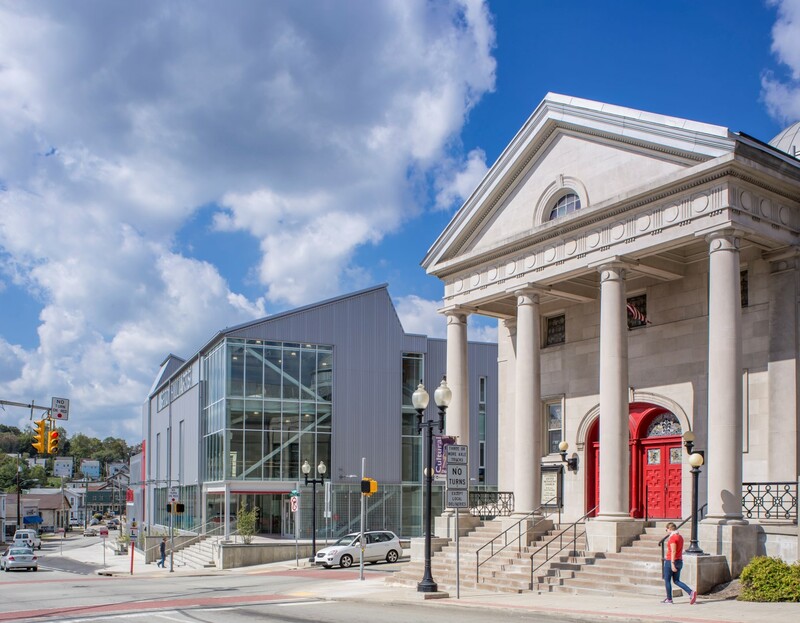 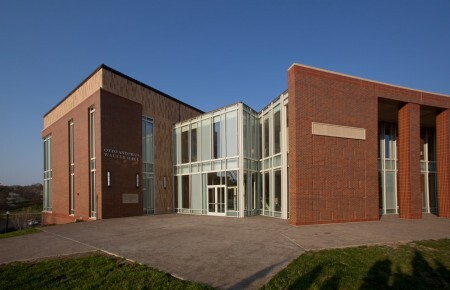 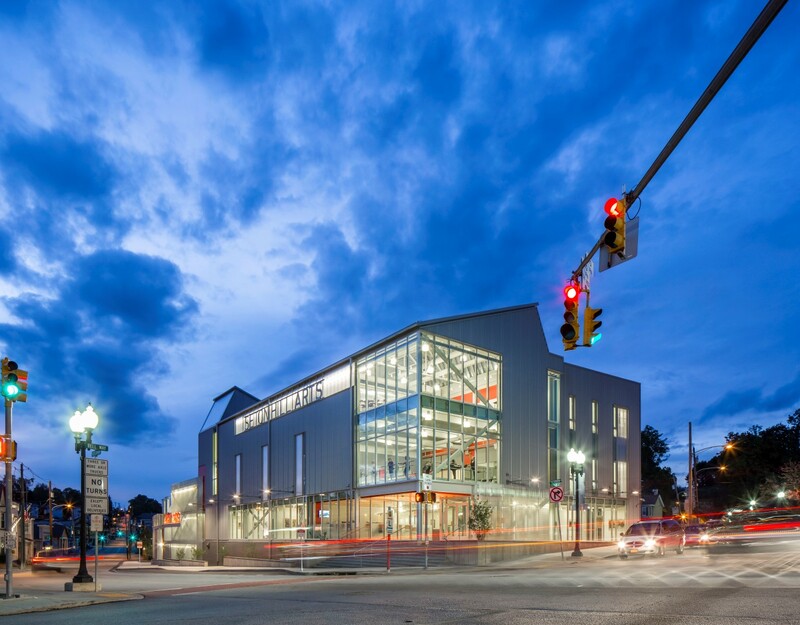 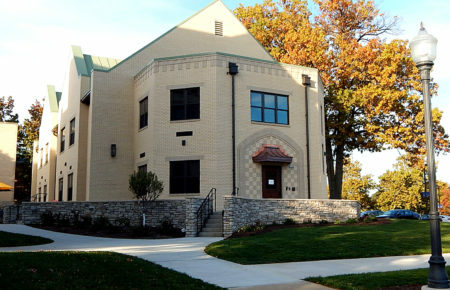 Opened in September of 2015, this 45,000 SF three-story Seton Hill Arts Center is situated in downtown Greensburg, Pennsylvania at the southern gateway to the University. 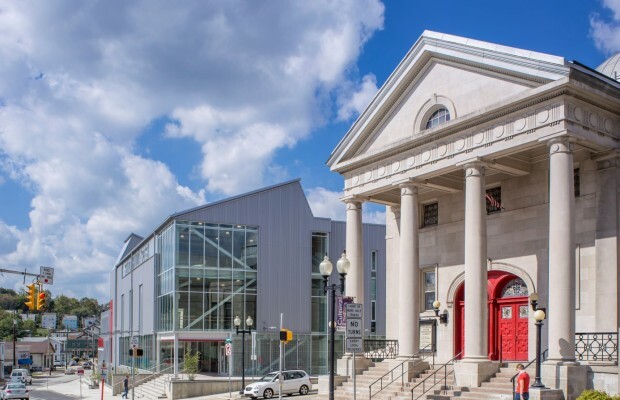 The decision to locate this venue off campus and linked directly to Greensburg’s downtown, was intentional, with the site one block away from the Seton Hill Performing Arts Center. 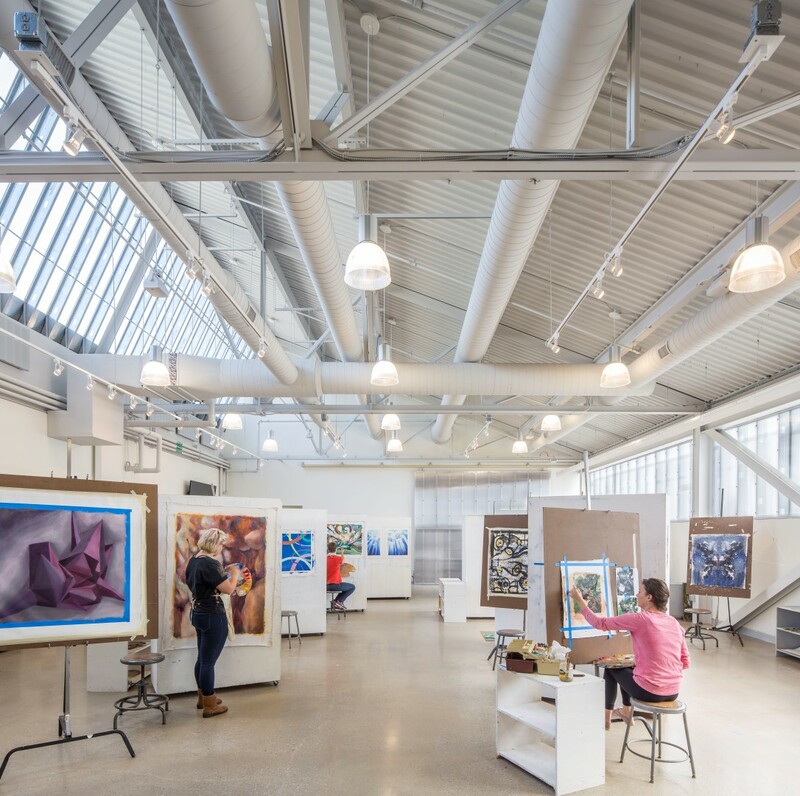 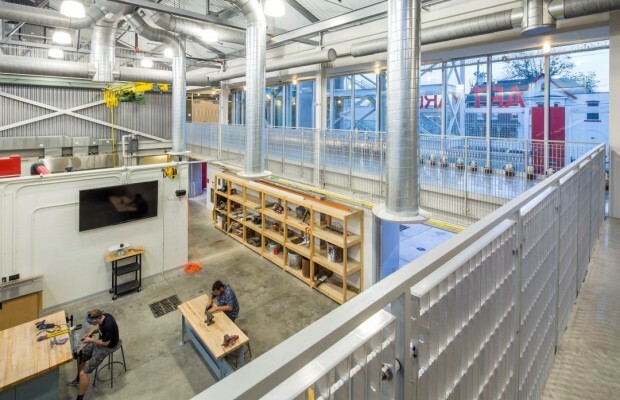 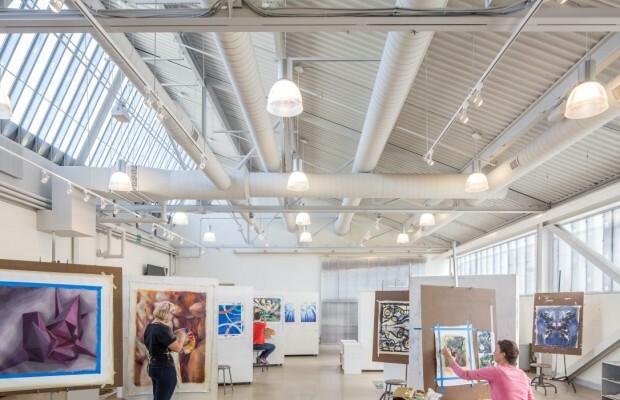 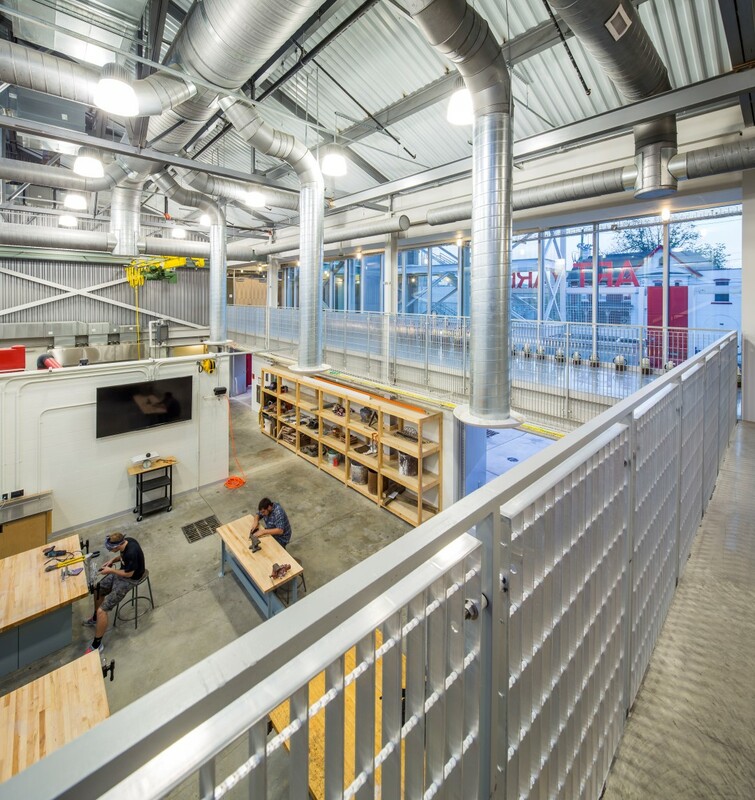 The facility houses studios for both the Departments of Art & Dance, which have significant community outreach programs as a part of their curriculum. 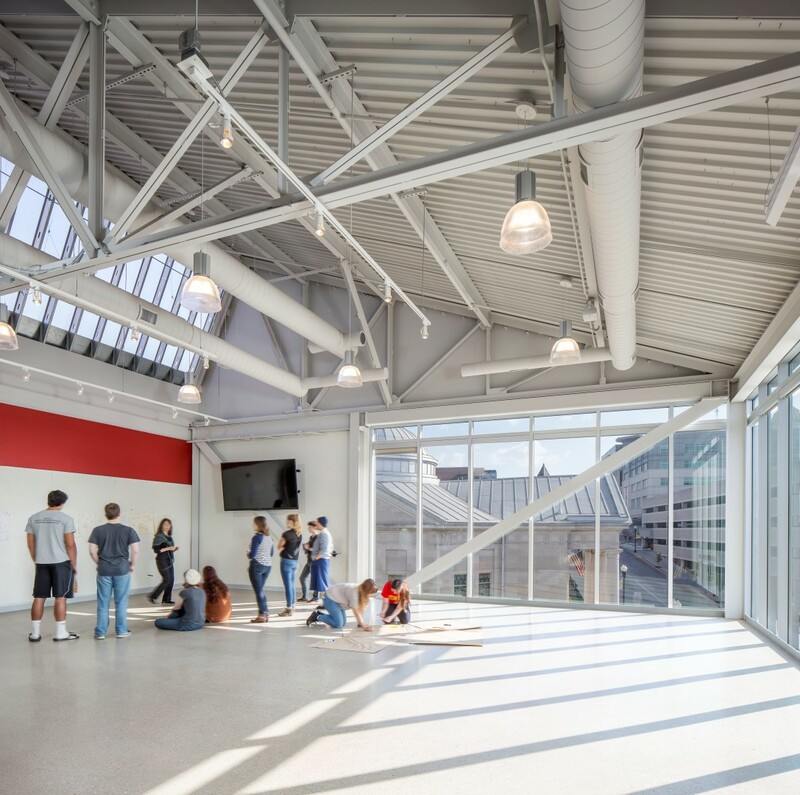 In addition, the first floor contains a public gallery and a small retail component for the sale of student art and a café. 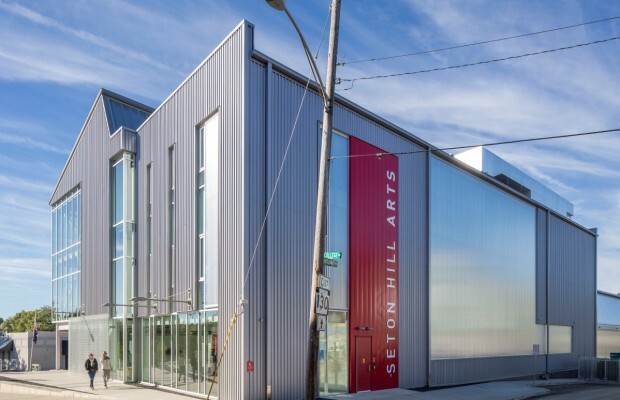 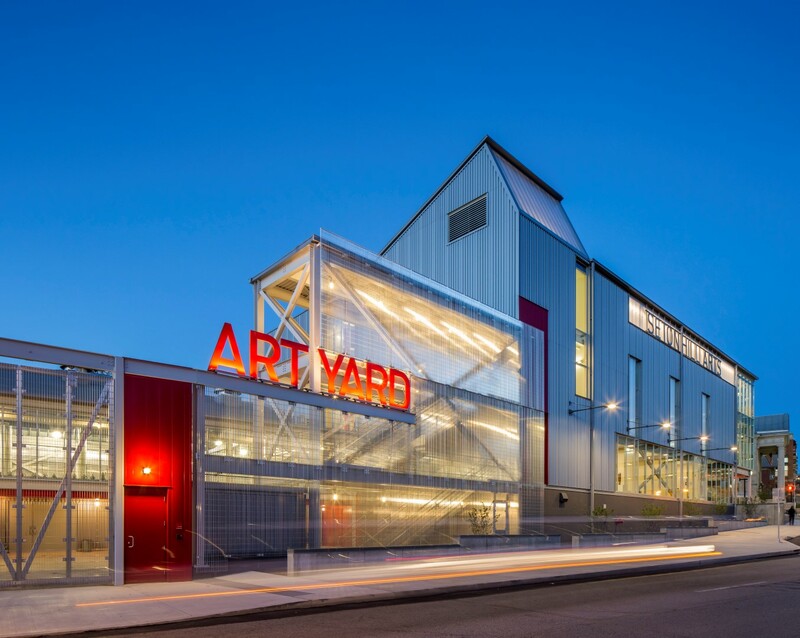 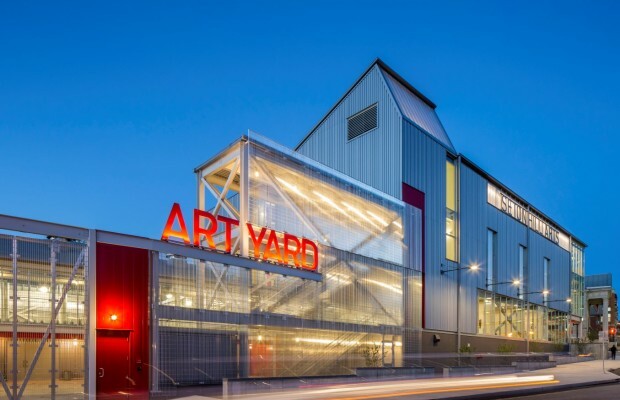 The exterior form reflects the industrial roots of the city and the combination of opaque, translucent and transparent skin visually engages the public and animates this important intersection, formerly occupied as a parking lot. 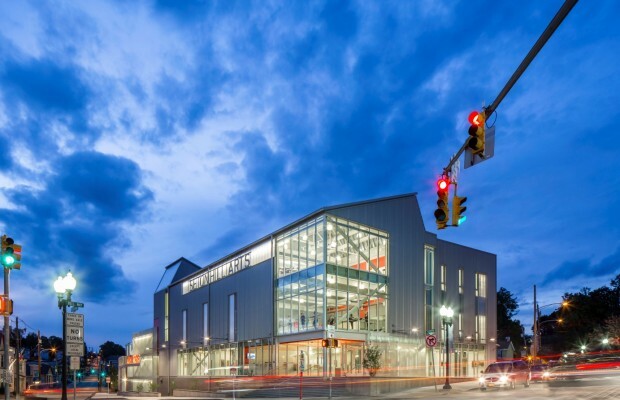 The project was designed to meet a minimum of LEED Certification and was built through a hybrid bid delivery process; combining Design-Build (D/B) and Construction Manager-at-Risk (CMR) strategies. 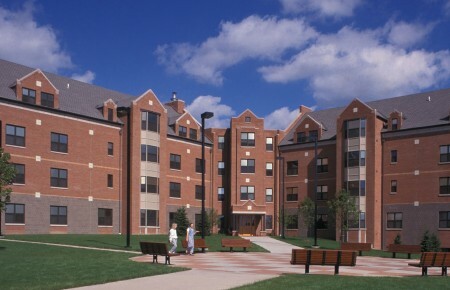 The project was a joint venture with designLAB architects of Boston, Massachusetts.